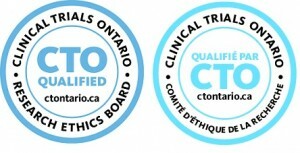 The CTO REB Qualification Program provides Ontario research ethics boards (REBs) that are planning to participate in the CTO Streamlined Research Ethics Review System, with a review of their operations, documentation, personnel and facilities. The review is with respect to regulations, standards and policies typically applicable to the conduct of clinical trials and health research in Ontario and Canada. This qualification process promotes a high level of trust and allows institutions and REBs to feel confident delegating ethics review and oversight to one other. The CTO REB Qualification process provides assurances that REBs meet a minimum standard for REB governance, membership, operations and procedures as detailed in the CTO REB Qualification Checklist (located on the Tools and Resources page). CTO manages the Qualification Program and is not a REB itself. To become Qualified by CTO, a board must successfully undertake and complete the Qualification process as described below. Undergoing the CTO REB Qualification process is voluntary, however, any REB that intends to act as the REB of Record for a study using CTO Stream must be Qualified. A REB that is Qualified by CTO will be compliant with the items listed in the CTO REB Qualification Checklist. There are no fees associated with the CTO REB Qualification Program, nor are there any fees associated with maintaining a board’s Qualification status. Upon Qualification, the REB leadership will be invited to join the CTO REB Council which informs and advises CTO with respect to the ongoing development of the Streamlined Research Ethics Review System. Questions regarding the CTO Qualification Program can be directed to streamline@ctontario.ca. The Qualification process is fully described in the CTO REB Qualification Manual (located on the Tools and Resources page); the process was designed to be transparent and educational for all involved. The review is conducted by a Qualification Team consisting of an Auditor with specific training in reviewing REBs, a CTO representative, and two members from the CTO College of Reviewers who bring expertise from the research ethics community. REBs wishing to undergo the Qualification process should contact CTO 6-8 weeks prior to the desired on-site visit. CTO can also arrange to conduct a preparation meeting prior to formally initiating the Qualification review, should the REB choose so. Once a date has been agreed upon for the two-day on-site visit, CTO will develop a Site Visit Plan (SVP), which acts as the agenda for the visit. At least two weeks prior to the on-site visit, the REB must provide the completed preliminary materials, including copies of written Standard Operating Procedures (SOPs) and other supporting documents. The on-site visit starts with an entrance interview, during which the Site Visit Plan is reviewed, and the Qualification process is described; the Qualification Team can also address any questions that the REB may have. The entrance meeting is typically followed by a brief facilities tour. During the on-site visit, the Qualification Team will request copies of certain REB materials (as outlined in the Qualification Manual) and may follow-up with questions for the REB operations team. Interviews will be held with the Lead REB operations personnel and the REB Chair(s)/Vice-Chair(s). The on-site component concludes with an exit meeting, during which time the REB is provided with preliminary feedback including identification of potential findings. Following the on-site visit, the REB is provided with a Qualification Report. This report will describe the Qualification process, including materials reviewed, and will identify any areas where the REB did not satisfy the criteria outlined in the Qualification checklist (called ‘findings’). The report may also include recommendations – these are suggestions or observations from the Qualification team that may be helpful to the REB. If no findings are identified, the REB will be designated a CTO Qualified REB. REBs with minor or major findings will be provided with the opportunity to submit a Corrective Action Plan (CAP). The Qualification Team will review the CAP and, upon acceptance of the plan, the REB will be designated as a CTO Qualified REB. The Qualification will remain in effect for three years from the date of issuance, with Annual Reporting to document changes in REB membership or other substantive changes (e.g., procedures, oversight responsibilities). Prior to the expiration of the REB’s qualification status, CTO will initiate the Re-Qualification process. CTO recommends the REB review their SOPs and operations against the CTO REB Qualification Checklist prior to requesting a Qualification review. The Quality Management component is optional. CTO will schedule the two-day Qualification visit with the REB contact person. Interviews with the REB Chair(s) and/or Vice-Chair(s), a facility tour, and entrance and exit meetings will be scheduled. The REB contact person will be asked to make arrangements for a meeting room with internet access for the CTO Qualification Team for the duration of the visit. The REB Office will be asked to complete the Preliminary Questionnaire and provide the requested materials (or weblinks if any materials are publicly accessible) for review at least two weeks prior to the Qualification visit. The REB contact person should be available to assist the CTO Qualification Team as needed during the on-site visit. The CTO Qualification Team will hold an entrance meeting with the REB operations personnel. At this meeting, the CTO Qualification Team will answer any questions from the REB and will provide an overview of the CTO REB Qualification process. The REB operations personnel will in turn be asked to provide an overview of the operations and structure of the REB/REB Office. At the conclusion of the entrance meeting, the REB will be provided with a list of documents and files that the CTO Qualification team will need access to in order to conduct the on-site review. As the CTO Qualification Team conducts its review of the requested documents/files, they will follow-up with the REB operations personnel as necessary for clarification. Materials provided by the REB may be in paper or electronic format. If electronic, they must be accessible by the CTO Qualification Team during the on-site review period. The REB operations personnel will lead a brief facility tour, showing the Qualification Team where and how paper records are stored (if applicable), outlining record security measures, and giving an overview of the office space. The CTO Qualification Team will interview the Chair(s) and/or Vice-Chair(s) as scheduled. An exit meeting will be held with the REB operations personnel at the end of the visit. During this meeting, the CTO Qualification Team will discuss the preliminary comments and provide the REB operations personnel with an opportunity to clarify any findings (as applicable). Following the Qualification visit, CTO will provide the REB with a Qualification Report. If the Qualification Report does not contain any findings, the REB will be designated as a CTO Qualified REB. If findings are identified, the REB will have the opportunity to submit a Corrective Action Plan (CAP). The CAP must be submitted to CTO within 3 months of the Qualification Report date. Once the CAP has been reviewed by CTO and all findings have been resolved, the REB will be designated as a CTO Qualified REB. CTO Qualified REBs will be provided with the CTO Qualification Seal and guidance on the Seal’s use. The Seal signifies that the REB has achieved CTO Qualification status following a CTO Qualification review. CTO will send the Annual Reporting Form (located on the Tools and Resources page). to the REB approximately 6 weeks prior to the anniversary of the date the REB achieved CTO Qualified status, and will request that the form be completed and sent back to CTO within 4 weeks. The form will be reviewed, and any questions or follow-up items will be directed to the REB. A letter confirming the Annual Reporting will be sent once all requirements have been met. The REB is asked to notify CTO in a timely manner of substantive changes related to the CTO REB Qualification criteria, e.g., significant revisions to their SOPs or oversight responsibilities. Approximately 6 months prior to the expiry of the REB’s Qualification status, CTO will contact the REB to make arrangements for the Re-Qualification visit. The visit will occur prior to the qualification expiry date. Much of the Re-Qualification process is the same as the initial Qualification process; a two-day on-site visit is planned, REB materials are provided to CTO in advance of the visit, the on-site visit is conducted, and a report is generated. The primary difference is that review efforts now include the review of CTO studies (e.g., studies reviewed by the REB through CTO Stream) and the implementation of Corrective Action Plan(s) where applicable. As with the initial Qualification review, Re-Qualification is issued for a 3-year period with Annual Reporting. The College of Reviewers is an integral part of the REB Qualification Program, ensuring that each review considers the REB perspective and experience. Two members from the College (one from each area) participate in each REB Qualification visit. These individuals are experienced REB Chairs with at least one year serving as a REB Chair or experienced REB Vice-Chairs with at least one year serving as a Vice-Chair. Vice-Chair representatives will also be experienced in conducting the duties normally assigned to a Chair (chairing meetings, conducting delegated reviews, interacting with investigators). These individuals are experienced lead REB operations personnel (e.g., Director, Manager, Coordinator) with at least 3 years of experience working with a REB that reviews clinical research. The Qualification Manual is a key resource for the Qualification Program, serving as a guide for the review and Qualification of REBs. The requirements for Qualification reflected in the Manual have been informed by numerous sources including Food and Drugs Act and applicable regulations; Tri-Council Policy Statement 2 (TCPS2), the International Conference on Harmonization Good Clinical Practice guide (ICH GCP) and applicable US regulations. The CTO REB Qualification Manual contains information on the CTO REB Qualification Program, along with the CTO REB Qualification Checklist (used during the Qualification review process) and the Preliminary Questionnaire.